Telefunken was a famous German company started at 1903, and soon became leading company in Europe, they demonstrated radio transmission of music in 1907, then built the first tape recorders in mid-1930’s and made the first television broadcasting in 1936 Berlin Olympic games. 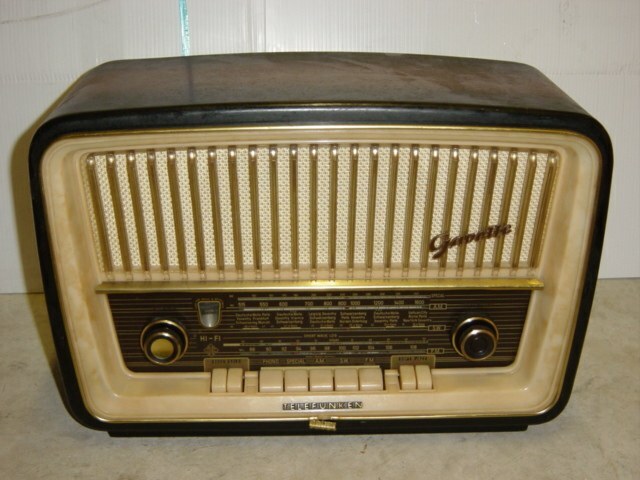 They made high-quality tube radios, tube amplifiers and vacuum tubes in mass production scales from 1930’s to early 1970’s and shared lots of European markets. The famous Telefunken ECC82 and ECC83 (12AU7, 12AX7) were introduced in mid 1940’s, there was a date code with two lower-case letters to show the production date, but now most tubes wiped off, the only permanent symbol is the “<>” mark at the glass bottom, the top sound quality led to big demand from market and worldwide recognition. 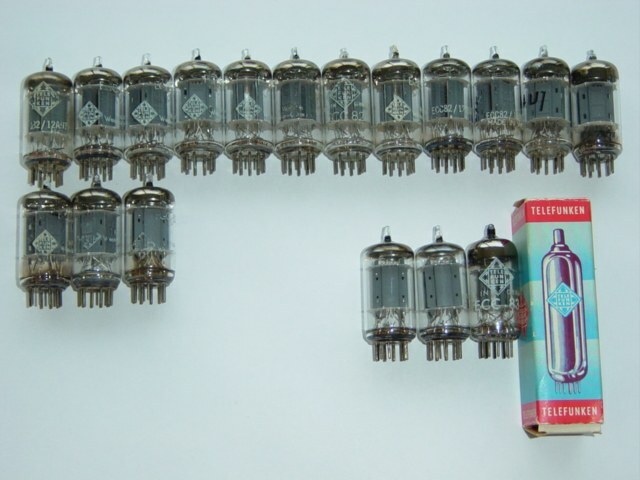 Famous amplifier makers such as McIntosh, DYNACO, Fisher ordered lots of 12AX7/12AU7 from Telefunken in 1950 and 1960’s -the golden age of vacuum tubes. In 1954, USA developed the first color television standard compatible with existing black-and-white sets called NTSC – National Television Standards Committee, using a 3.579545 MHz for color sub-carrier wave. This system very soon became the worldwide standard used in North and Central America and Japan. The great success of US NTSC forced the leading company in Europe, Telefunken, to accelerate the R & D in color television broadcast engineering. Mr. Walter Bruch, the chief engineer of Telefunken, worked hard from and improved on NTSC developed a later system – PAL (Phase Alternating Lines), using 4.43361875 MHz for color sub-carrier wave. It added 100 more lines of resolution to the picture (625 vs 525 for NTSC) and improved the color system to get more stable, more beautiful pictures. Telefunken patented this new system in 1963 and PAL color television became popular in 1967. Before the year 2000, PAL is widely used in the UK and most of western Europe, Africa, Australia, southeast Asia and South America. Telefunken then got big patented money from each PAL color television set ever made over the world from late 1960’s to early 1970’s, they also kept focus on transistor radios and amplifiers. In 1969, eventually Telefunken management decided to terminate the vacuum tube production plant due to non-attractive profit and then no more excellent ECC82/ECC83s. 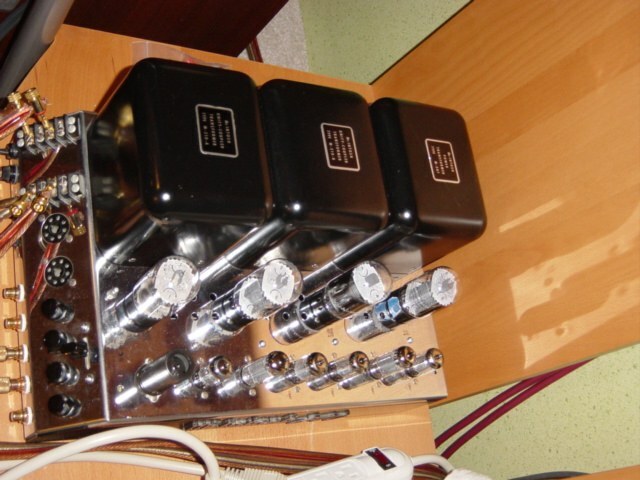 I got some Telefunken 12AX7/12AU7 all tested sound good in a McIntosh MC 240 power amp see the picture. Telefunken 12AX7/12AU7 should have “<>” mark on the glass. Telefunken 12AX7/12AU7 performed excellent sound quality. As the date code and logo often wiped off due to age, but we still can identify an original Telefunken 12AX7/12AU7 by listening to its unique good sound quality.